In December, we excitedly announced that we had begun carrying every title, including exclusives, all with original artwork from Random House, Books on Tape, and Listening Library. Great news! The best in audiobooks has gotten even better! 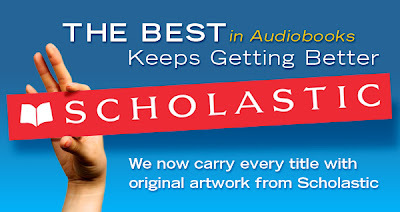 We here at Midwest Tape are excited to announce our partnership with Scholastic. 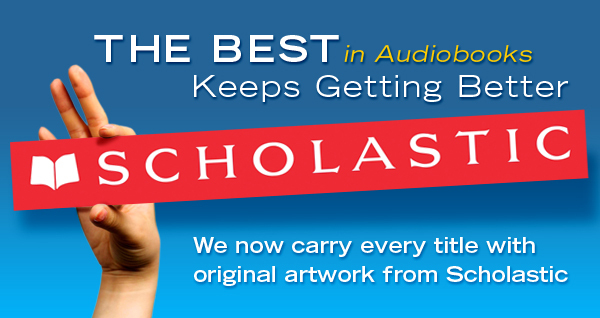 We now offer every Scholastic audiobook with their original artwork. These titles are available for order at www.midwesttapes.com and will ship in our exclusive SoundSafe™ case. Last week on American Idol the Top Ten performed Billy Joel songs. It was a vast improvement on the previous week when they sang songs from the years they were born. However, the night still had many moments of mediocrity, which is a bit surprising seeing that the Billy Joel songbook is, well, the Billy Joel friggin' songbook! Billy Joel wasn’t actually there to mentor the kids, so Idol got the closet thing: Diddy (Puff Daddy) and Tommy Hilfiger. Puffy gave some singing advice and Tommy gave style tips. Of course, pretty much no one took the fashion advice. Phillip Phillips was told not to wear gray. What did he do? He wore TWO gray shirts! His reasoning for ignoring the Hilfiger: "I don't care about image. The music has to be noticed first." We get what you’re saying, Phil, you groovy hipster, you. But listen, you’re on a pop star talent show not a competition to put together a Dave Matthews cover band. This isn’t the early 90s. Nowadays, no matter the genre, looks and style matter. Notice Dave Grohl no longer looks like he’s in Nirvana. The two contestants that did listen: Erika Van Pelt and Hollie Cavanaugh. Erika chopped and colored her hair and donned a more rocker, predominantly black getup. While according to Best Week Ever she resembled Kris Jenner, she looked great overall and seemed more confident. Young Aussie-Irish-Southern Hollie adorned sparkles in a more age appropriate outfit. Bravo to both Erika and Hollie. You’re only on Idol once. Take advantage of the entire experience! Shall we discuss the singing? Colton Dixon covered “Piano Man.” Perhaps it was the emotive lighting or the bangin’ red piano, but this was quite the performance. Colton made the song his own, appealing to the masses of young girls adorning black eyeliner for the first time and reading YA dystopian fiction. America (including the Judges) must all be rocking eye liner and reading Divergent because it would seem we all have Colton Fever. Did you know everybody has a dream? Jessica Sanchez does. Of course, her dream might be grander than others as proven with her heartfelt rendition of “Everybody Has a Dream.” That girl just keeps bringing it. She definitely has the “it” factor—stage presence and immense vocal talent. Lots of people swear she’s going it win it all. Sure, she has a solid chance, but so did Jennifer Hudson, Melinda Doolittle, and Pia Toscano. Let’s hope the odds continue to be ever in Ms. Sanchez’s favor. Elise Testone has a raspy voice, and it’s growing on us—in a good way. She is a natural performer, and while her singing isn’t flawless, it has a quality that is lacking from modern pop music. Erika Van Pelt is from Rhode Island, but she still sang “New York State of Mind.” And with her new Kris Jenner meets Pink look, she sang it with confidence. Of course, she didn’t take any risks with the song and it was a bit lounge singer-like, but all in all, she did well. The judges seem to genuinely like her, or they’re just really desperate for a woman to win. Idol’s soul man, Joshua Ledet, let us down a bit this week. Performing “She’s Got a Way,” Joshua laid it out with tons of gospel, but very little soul. He hit all the notes, did some runs, and probably gave America goose pimples, but—as pointed out by J. Lo—he didn’t seem to connect with the lyrics. In order to truly have a moment, as he has in previous weeks, Joshua has to connect emotionally with his songs. It is very difficult to pull off gospel if you’re not fully immersed in the melody, lyrics, and mood of a song. While he ignored Mr. Hilfiger’s fashion advice and Puff Daddy’s recommendation to sing without his guitar, Phillip Phillips still did fine. He did a very angst-filled, rock rendition of “Movin’ Out,” and the judges ate it up like a hot fudge sundae. We’re not so easily convinced, though. America will keep voting for him because he’s easy on the eyes and fun like Taylor Hicks. But does anyone remember Taylor Hicks? Phil, listen, you do not want to end up like Taylor Hicks. Phil needs to start taking risks. In addition to his fans, he needs to appeal to the music industry, too. Challenge yourself, Phil. This is a once in lifetime opportunity. Learn something from this experience. Wow, there are so many. Let’s start with poor, sweet Hollie. She’s a doll, really, she is. The outfit, while more youthful, was distracting, and Hollie seemed uncomfortable wearing it. To top it off, she sincerely struggled through “Honesty.” Her voice is powerful, but her rendition was uber pitchy. Skylar sang country? Plain, ol’ simple, safe country? Ya don’t say. We didn’t see that coming at all. She sang a Garth Brooks version of “Shameless.” That’s all we can really say. We’ve pretty much forgotten it entirely at this point. Oh boy, DeAndre needs to get the boot. To quote Best Week Ever, “He’s a sweet kid with a good heart but I’m kind of over the whole hair down Carlton dance move, which funny enough, is his only move.” He also has yet to blow us away with any performance. And his cover of “Only the Good Die Young” was awful. It was like DeAndre was performing at Disney World in the 1990s and he actually was trying to perform “Under the Sea” from the classic animated film The Little Mermaid. Give it a rest, DeAndre. You can’t even compete with Sebastian and he’s a talking lobster. To round out the supremely awful: Heejun. What a silly guy. We agree with Steven Tyler—it's time to get serious. Heejun started off with a ballad and then told the pianist to stop because he wanted to dance. Even though the whole thing was planned, it was awkward. Still, he owned the song. Owned the whole horrible thing. Did he sing? Scream? Grunt? Did he even really dance like he wanted to? We’re not sure. We averted our eyes half the time. Based on this summation you’d think Heejun went home, right? While he was in the bottom two, the guillotine actually fell upon Erika Van Pelt. America couldn’t connect with her old look and they didn’t embrace her new one, either. At least she got a free makeover out of the whole thing. The Top Nine now move into the haunted Idol mansion (it's probably a different mansion than last year, but let's hope this one is haunted, too) where they will prepare for tomorrow night. They’ll be singing songs by their own musical idols. Producer Nigel Lythgoe has hinted that the contestants will be covering songs by such artists as Beyonce, Mariah, Miranda, Lifehouse, Daughtry, and Led Zeppelin. Can you guess who is singing which artist? Last week librarians from all over the country descended upon Philadelphia for the Public Libraries Association conference held at the convention center. More than 8,700 library staff, supporters, exhibitors, authors, and guests from across the country gathered to attend workshops, share experiences, and visit with vendors, including Midwest Tape at our brand new booth. 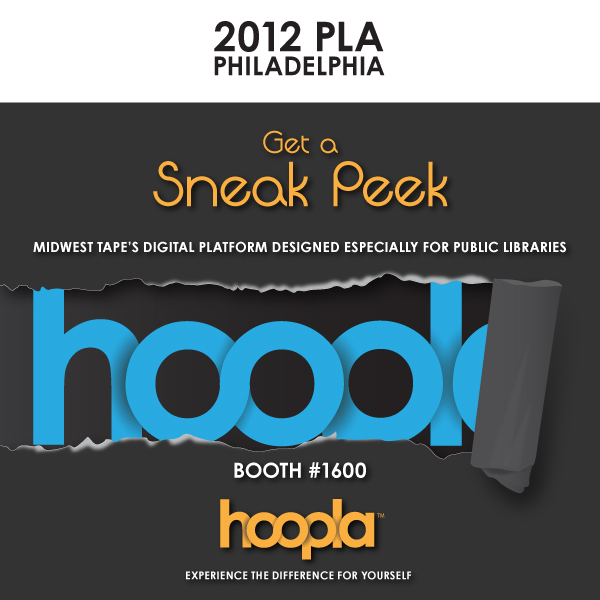 During the conference, we offered attendees a first-look at hoopla, our new digital media platform designed specifically for libraries. Featuring a clean, user-friendly interface, the platform will provide an exceptional experience for patrons of all abilities. When implemented, patrons will be pleased to see how closely it resembles the physical library experience. Users will be able to borrow, use, and return the cloud-based stored digital content at any time from their computer or mobile devices. In addition to debuting hoopla, we also unveiled our new booth. Our open and inviting design allowed attendees to easily take in all we have to offer. Complete with numerous TVs, our tech-savvy booth allowed us to display multiple messages, which empowered our sales team to talk with attendees about all our exciting products and services. Supporting our modern booth, we also let customers know that we’ve expanded even further into the online realm. We’ve joined Facebook and Twitter and now offer our Weekly mailers digitally. What did you think of PLA? What were your favorite workshops and trade show moments? What did you think of hoopla and our new booth? See more photos of us at the show here. No one knows patrons better than librarians. Therefore, in order to better help librarians with their collection development, we’d love the opportunity to learn and share what materials your community enjoys. This year we're introducing a new feature in our Monthly Buyer’s Guides called Librarian's Choice. Our aim is to survey our customers about what movies, music, and audiobooks perform well at their branches or that they would recommend. We will then compile and share select survey results via the Librarian's Choice feature, which means you and your feedback could be featured in our next catalog! We would greatly appreciate you taking a moment to complete the survey. If you have any questions, please contact marketing specialist Chris Shop at cshope@midwesttapes.com and 800.875.2785. You can also email us here at News & Views at newsandviews@midwesttapes.com. Such studios as PBS Home Video, Sony Pictures Home Entertainment, and Universal Studios Home Entertainment provide described video on select DVD titles. Sony Pictures Home Entertainment also provides described video on select Blu-ray Disc™ releases. 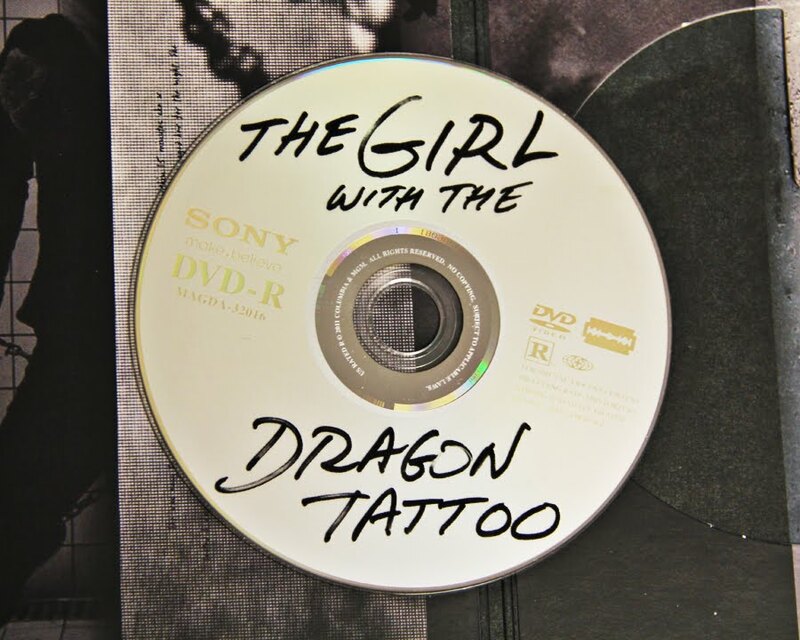 With the increase of described video-enabled DVDs and Blu-rays, Midwest Tape has created a collection of DVS titles to help libraries fulfill the needs of their patrons. To shop our collection of Described Videos, click the image below or follow this link. Surprise! American Idol kicked off Jermaine Jones before performance night this week, because they discovered he had four outstanding warrants. In the past, Idol has skipped eliminating another contestant if someone had to go due to unforeseen circumstances. Not this time, though! This week was a two-for-one special. Not only did Jermaine go, but so did the contestant with the lowest number of votes. And with that, American Idol has their Top Ten, meaning these contestants go on the tour, picking up a paycheck and music industry experience. On Wednesday, contestants sang songs from the year they were born, and since most of the contestants are essentially infants, the songs selected were fairly current. All in all the night was filled with mediocre performances. Skylar at one point told the judges, "ya'll are bein' mean." No, poor, sweet, Southern Skylar, the judges were actually just doing their jobs (for once!) and being critical. And it's not mean if, in general, the performances are lackluster and forgettable. Phillip Phillips started the night with an okay (almost karaoke) performance of The Black Crowes' "Hard to Handle." The judges were gracious to Phillip because he had surgery that week and still performed quite well. His song selection was within his wheel-house, and while he seems to be almost mimicking Dave Matthews at times, a lot of folks like Dave Matthews and that style of music, so it's no surprise he's a crowd favorite. His baby blues, easy smile, and relaxed stage presence probably helps, too. Later in the show Colton Dixon took a daring step and performed "Broken Heart" by White Lion, a not-so-well-known song. While none of us knew the tune and we're not so sure traditional rock is his style, we thought Colton's delivery was believable and enjoyable. Shockingly, Steven Tyler had more to say than his usual "that was beautiful" dribble. He actually hated the song selection. Randy and J. Lo loved the performance, though. While Colton and Phillip did fine, the real standout among the guys (heck, among all the performers!) was Joshua LeDet. Oh sweet Moses! That boy brought the steeple down with his emotional, gospel-ish rendition of "When a Man Loves a Woman" (Michael Bolton's interpretation). To quote Best Week Ever, "I rewatched this performance 3 times while fanning myself in the Baptist church I just built in my living room. This was amaaaaaazing...It was like Sexual Chocolate sings James Brown. When he took that jacket off? Chile I nearly fainted." When he finished, the crowd had two choices: applaud excessively or sit in silent amazement! Heejun and Deandre, on the other hand, were deplorable. While normally charming in his pre-performance promo pieces, Heejun was awkward while interacting with Will.I.Am. His performance was breathy, full of whispers, and slightly pitchy. Not to be outdone, though, Deandre looked like a dread-locked deer in headlights as he struggled through a horribly arranged "Endless Love," a song far too mature for him. Deandre is a bit too green for this competition. And based on his demeanor before and after the performance, he doesn't really seem in it to win it. Can it be curtains for Deandre already? Alas, though, it cannot be curtains, because we have the women. Far more forgettable than the men, the ladies' performances were plagued by pitch problems, bad arrangements, and poor song choices. Hollie Cavanagh received a lot of praise from the judges, but we weren't really blown away. Celine Dion's songs are too dated for the competition. She also sings these epic love ballads that require a lot of passion. The tune just didn't fit young, happy-go-lucky Hollie. And to be honest, the true great "Power of Love" song is by Huey Lewis and The News from Back to the Future. Too bad you weren't born that year, Hollie. Skylar played it safe and did an easy country song. For a contestant who performed so well and chose such a risky song last week, she sure was disappointing on Wednesday. The judges said nothing of value, so we're sure she'll continue to choose simple country songs and dole out predictable performances. What a shame. She is from the South, though, so she'll probably go pretty far in the competition. Elise did her best, singing a seductive and raspy "Let's Stay Together." The judges seemed to enjoy it, but it was simply golf clap-worthy. As for Erika Van Pelt, she sang a really badly arranged "Heaven," and it almost seemed as though she didn't actually know the song. Why was she singing the chorus that way? J. Lo coined her this season's Janis Joplin, which is weird because the folks backstage seemed to want to make her look like an Adele-knock-off. Unfortunately for Erika, she's no Adele. And then there's Shannon Magrane. For someone who started out with so much promise, she really took a nosedive. In addition to constantly choosing songs that are too big for her, she consistently struggles to deliver on performance night. Like Deandre, she's too inexperienced and lacks some training. America must have noticed this, too, because dim the lights! Adios, Shannon. There you have it, your top ten, America. Next week's theme is Billy Joel, and for the love of the Piano Man, we sincerely hope these performers all step up their game. What were your thoughts? Did America get it right? On Wednesday, it was boys vs. girls for the first time. The boys sang Stevie Wonder songs, and the girls took on the late, great Whitney Houston. Ironically in past Idols, the judges always warned singers to avoid Whitney Houston songs because no one could top the diva, nor had the talent to conquer the feat. Nonetheless, the girls belted out Whitney's finest songs to the best of their abilities. The standouts of the evening were Skylar Laine, Hollie Cavanagh, and Jessica Sanchez. All did wonderfully, but Jessica brought J'Lo to tears, and the crowd to their feet. Jessica is definitely a favorite to win the whole shebang, but then again, so was Pia Toscano. The boys performances were simply okay. Were there any standouts? Umm, not any that made you shiver. The first contestant for the night, Joshua Ledet, was probably the best, singing-wise. He opened the show with a lot of energy and sounded very much like an artist from that era. Pretty boy Deandre Brackensick was our next favorite. Although Deandre's falsetto may get on our nerves, he kept it under control until the last few notes. Besides having fun and singing well, he proved he's got rhythm and can dance, something more exciting than standing on stage and quivering behind the microphone like many of the others. And while Heejun Han's performance wasn't perfect, it was pretty great. His charming demeanor and quirky humor adds to his overall Idol package, which will likely make him a favorite among voters. Even if his performances aren't always rousing, he sure is likable, which as proven with numerous past contestants, goes a long way. On Thursday, Idol showed how America's votes stacked up, revealing the bottom three guys: Jermaine Jones, Jeremy Rosado, and Joshua Ledet; and the bottom three girls: Elise Testone, Erika Van Pelt, and Shannon Magrane. While Joshua seemed to perform the best out of the guys the previous night, he did perform first, which with 13 contestants to get through, can be a kiss of death. No surprises with the rest of the bottom ranked contestants. All their performances were either bad or forgettable. Unlike past seasons, Seacrest narrowed down the bottom ranked to the guy and the girl with the lowest votes, then the judges decided who would go home. We liked the change of pace. It doesn't look like it'll continue, though. So who went home? Dim the lights! It's Jeremy Rosado. And we agree. He might be a good singer, but he simply doesn't possess the talent or performance wherewithal needed to win this show. And if you're not "in it to win," then why be in it at all? This week the contestants will tackle songs from the year they were born. Get ready to dance to some 90s jams...and feel old! Adele and Whitney contain to dominate the entire CD chart, meanwhile Breaking Dawn tumble farther down the DVD list as two family friendly films, a comedy, and a sci-fi flick take the top four spots. In Nonfiction, American Sniper continues to dominate Steve Jobs and Killing Lincoln, and Jodi Picoult's new release tops Fiction. 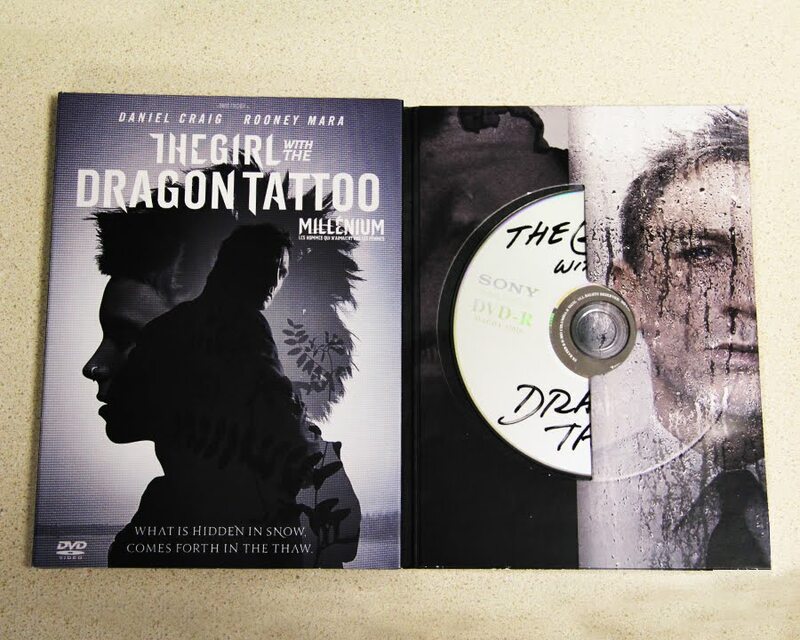 We would like to address some confusion caused by the DVD version of The Girl with the Dragon Tattoo. If you have ordered The Girl with the Dragon Tattoo on DVD, rest assured that you did not receive a bootleg copy of the film. This is the authentic DVD direct from Sony Pictures. Sony designed the DVD and its packaging to reflect the theme of the movie and its popular hacker protagonist, Lisbeth Salander. We apologize for any confusion this may have caused. If you have further questions or concerns, please contact us at info@midwesttapes.com or 800.875.2785. Our marketing team members are long-time American Idol viewers. This year we decided to share our take with News & Views. Every week we’ll recap the show and share our critiques. This week, CD Marketing Coordinator Danielle Desmond, Graphic Designer Heather Brown, and Marketing & Social Media Coordinator (and News & Views editor) Char Bohnett give their two cents. Over 33 million votes were cast to narrow down the Top 10 American Idol contestants. And the judges told six contestants that they still had a shot at a wild card position. So here we have them: the Top 13. And thank goodness for the wildcard spots. As proven in the past and with this round of cuts, America doesn’t always get it right. Following the top ten, each judge chose a wild card contestant. Randy Jackson went with my favorite (second to Reed), Erika Van Pelt, who delivered an amazing and powerful cover of Lady Gaga’s “Edge of Glory.” Her song choice was risky, but thankfully, she didn’t butcher it. She also made audiences—well, me, at least—excited to see what other songs she’ll cover this season. Next week is Whitney week after all. Jennifer Lopez chose Jeremy Rosado after his cover of Carrie Underwood’s “I Know What You Want,” which brought her to tears—no surprise there. And the final wildcard, given by judge Steven Tyler, went to Deandre Brackensick, who blew Steven away with his version of “Georgia on My Mind.” How many times has this song been done on this show? I mean, honestly, how much faith can we have in Steven as a judge if yet another rendition of “Georgia on My Mind” is what convinced him to pick Deandre? I guess we've never had much faith in crazy Steven Tyler anyway, so pick Deandre, Steven. Pick him! America got some voting right and some wrong. I was actually glad to see Reed Grimm get cut. If you close your eyes and listen, he’s a great singer, but his gyrating on stage is obnoxious. I was disappointed to see that Creighton Fraker didn’t make the top 12, but that’s the name of the game on this show. Two contestants whose fates were unpredictable were Jermaine Jones and Hallie Day. Jermaine made it for the guys. He is different, but I’m not sure he’ll be received well enough once the competition gets going. And Hallie Day should’ve made it. The girl can belt it out. If I were to predict the ending, all hail Jessica Sanchez; she’s the strongest competitor in my opinion. Tonight and Thursday’s Idol shows will be huge! The guys will cover Steve Wonder tunes and the ladies will try their darnedest to fill Whitney Houston’s shoes. I’m quite surprised Idol decided on a Stevie and Whitney night. These are two artists that the judges have consistently berated contestants for covering. I’m wondering if Randy will just be on repeat tonight: “I don’t know, dog. I just wasn’t feeling it. I mean, no one does Stevie like Stevie!” And with the recent death of Whitney, I can imagine the judges—especially J. Lo—will be hyper-critical of the girls’ performances. Let’s hope the contestants’ mentor for the week, Mary J. Blige, gives sound advice and helps these starry-eyed singers do these amazing songs justice, because—while I know Idol chose to do Whitney songs as a way of memorializing the musical icon—I don’t think a bunch of green pop hopefuls butchering her hits is truly an honor. Fingers crossed for some incredible, moving performances!